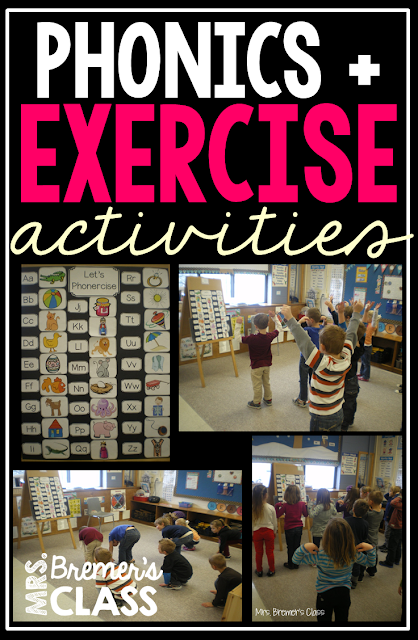 We are having a great time combining letter names, letter sounds, and exercise! I made the chart so that students could follow along and so that they know what word to say as they touch the floor. What a fun way to exercise both the mind and body at the same time. Great chart! I love Dr. Jean!! I taught kindergarten for 12 years and used many of her songs and activities. I have many of Dr. Jean's CD's also, and LOVE them. We like doing this song/activity, but I never can remember the words myself. Where can I get these great pictures? This is a great idea! Great way to get the wiggles out too! Oh great! Can't wait. I will check back Friday for sure. Thanks so much. Thank you Anita for sharing your Phonercise as a Freebie! I see you are physically involving the children in the learning process (total physical response). That is what I do, and children learn faster, retain more, stress is reduced, and drop out rates later in life decrease by 90% using this method.